Jerry Sittser has a remarkable gift for taking complex theology and applying it to everyday life. Many people are good at telling you how to live a Christian life, but their theology may be weak. Sittser is a theologian, and he supports his points with numerous scripture references. 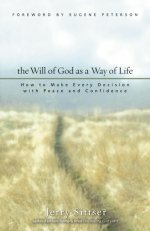 In his book, The Will of God as a Way of Life: How to Make Every Decision with Peace and Confidence, the only thing not to like is the title. The subtitle makes it sound like a self-help book. While you will walk away with a new insight, this is no simple, “follow these three steps to better decisions” book. Instead, Sittser dives head on into the theological issues surrounding the will of God. God’s sovereignty, our free will, calling, and the role of suffering in our lives, all get ample attention. But what grabs me the most is his opening conversation about God’s will for our life. What do we mean we say “it is God’s will?” And how about following God’s will. What if we make the wrong decision and head down a different path? Sittser explores these questions, and provides an answer. I should also note his strong work in the area of suffering and God’s will. I reviewed his book, A Grace Revealed, which explores this topic in depth. He also deals with it in A Grace Disguised. Sittser’s entire family was in the car when it was hit by a drunk driver, and he lost his mother, his wife, and a daughter, in an instant. He understands suffering. Sittser never dismisses suffering, but he recognizes our limited viewpoint. It is a humble viewpoint, and thus better focused on living God’s will in the present, confident in the future. 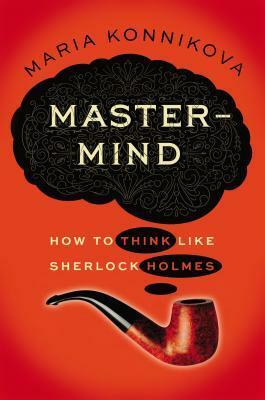 Maria Konnikova’s title to her book, Mastermind: How to Think Like Sherlock Holmes, makes it sound like a self-help book. Instead, between the covers we find a exploration of how our brain works, with Sherlock Holmes as our recurring role model. I’m a long-time Holmes fan, and thinking like Holmes seems like an admirable goal. But as Konnikova shows, it is not an easy feat. Our brains have been trained to think like Watson — to think like Holmes requires not only a change in thinking, but a great deal of practice to have any success. Many of these we can understand in theory, but Konnikova provides multiple examples (at times, a few too many) to show how our brain does not always work this way. We let our background biases alter what we see, we follow a line of thinking even when the evidence points elsewhere, and we are distracted by elements which do not matter. Only through conscious effort and training can we overcome many of these challenges. Holmes (and it is good to remember he is a fictional character) trained his brain early on to have the abilities it possesses. A trait not often applied to Holmes, which Konnikova sees as essential, is imagination. “It uses the building blocks of all of the observations that you’ve collected to create the material that can then serve as a solid base for future deduction.” In other words, once you have the different elements, it takes imagination to create the picture. 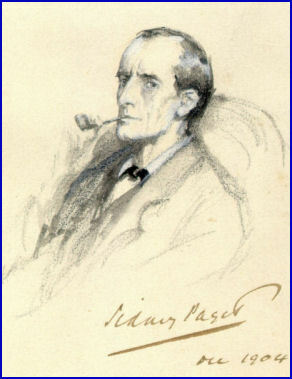 Holmes is too often portrayed as a human robot, when it is his ability to be imaginative that sets him apart. What Konnikova also focuses on is Holmes’ willingness to sit and think. “A three-pipe problem,” he might say. “If you get only one think out of this book, it should be this: the most powerful mind is the quiet mind. It is the mind that is present, reflective, mindful of its thoughts and its state. It doesn’t often multitask, and when it does, it does so with a purpose.” Brave words in a loud world, and Konnikova is no stuffy old professor. She is a doctoral candidate in psychology at Columbia University. A Harvard grad who learned her Holmesian lore by hearing her father read the stories to her in Russian. It is that knowledge and clear love of the canon that makes this book so interesting for the Holmes fan. While she can quote psychological studies at length, she also quotes Doyle often. The stories serve as ways to illuminate what we know about the brain, but her thinking provides new insight to the stories. One will return to Holmes with fresh eyes. My Classic Book Reading Project I’m taking part in the Classics Club reading challenge centered around at least 50 classic books. One Book One Week One Year My previous blog following my progress in reading one book per week for a year.